LT AppBank – Joomla App template is a responsive Joomla App template for app developers to introduce the best app performance and increase sale. With a truly comprehension of website/app developers, this theme has been built professionally with powerful features of Joomla CMS, such as Helix Ultimate framework support Page Builder for layout, shopping cart support by J2Store, Font Awesome, strong shortcodes for editing content easily. Come with the simple but modern look, LT Appbank promises to create a very good first impression of customers by its fast and beautiful performance, and the fully responsive layout on mobile devices. LT Loan – Premium Joomla template is a beautiful and responsive Loan website template that will be perfect for your Joomla site to promote business such as financial consultant, advisor, bank… Coming with wonderful appearance and nice look content organization, LT Loan is promised to attract more and more attention from potential customers to approach closer to your business. It is easy for you to show off all of your business information with eye-catching design. 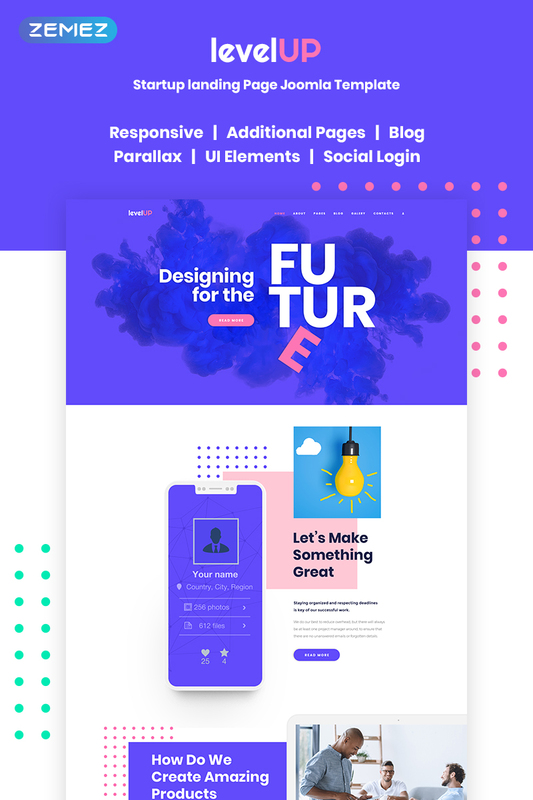 This template framework created with strong Page Builder based on the new Helix Ultimate, supporting Font Awesome, Compress files and so on. Median – Advertising Agency Joomla Template will help you to easily create a fantastic website for your agency. This theme can be easily customized by using a huge collection of artwork and layouts so your site will have its own, unique look-and-feel. This theme is an impressive solution for those who wish to set up an advertising agency website. It’s fully responsive, meaning that it works equally fast and stable on any type of devices. And it’s Retina-ready, which means that it’s fully compatible with Apple displays. Bitcoin – Mining & Cryptocurrency Joomla Template is an template for Cryptocurrency Bitcoin & Digital currency for Joomla template based on helix framework, using SP Page Builder PRO 3, Layer Slider and J2store for ecommerce shop. This template is suitable for bitcoin, blockchain, coin currency, crypto currency, currency, Currency Exchange, digital currency, exchange, exchange currency, litecoin, mining, responsive website. Bitcoin template has a fully responsive layout It fits perfectly on various displays and resolutions from regular desktop screens to tablets, iPads, iPhones and small mobile devices, with awesome mega menu options, layout builder, and more. This fully responsive Creative – Web Design Studio Joomla Template will make your studio website to really stand out among your competitors. This template also offers deep website customization possibilities and supports various widgets. This Joomla template is adaptive, which means that you don’t have to bother about creating different page layouts for mobile devices, tablets, and desktop computers. The template also includes many useful customization features to simplify your work when creating and managing your brand new resource. justDESIGN – Web Design Studio Joomla Template has a bright and clean design and is suitable for a personal website of graphic designers, illustrators, and photographers. And for a portfolio website of design studios. There are ready-made layouts of the pages for blog, portfolio, contact information, and “About Us”. You can customize any items on your site exactly as you need. The site supports videos from YouTube and Vimeo. There are also many animation elements for scrolling. You can also use third-party vector icons and a huge number of Google fonts. ITforse-Software Company Joomla Template is a elegant, Responsive template. If the website is not quite impressive, who would believe that developers of the company do their work perfectly? The good first impression is a key to profitable business, so if you want to become the #1 in your niche – you will need this Joomla template. It catches attention from the first sight. Big attractive picture with animation effects do its job perfectly – anyone who will see it is intrigued and goes further. The design is accurate and minimalistic, the color scheme is elegant and the pictures are sharp. By the way. 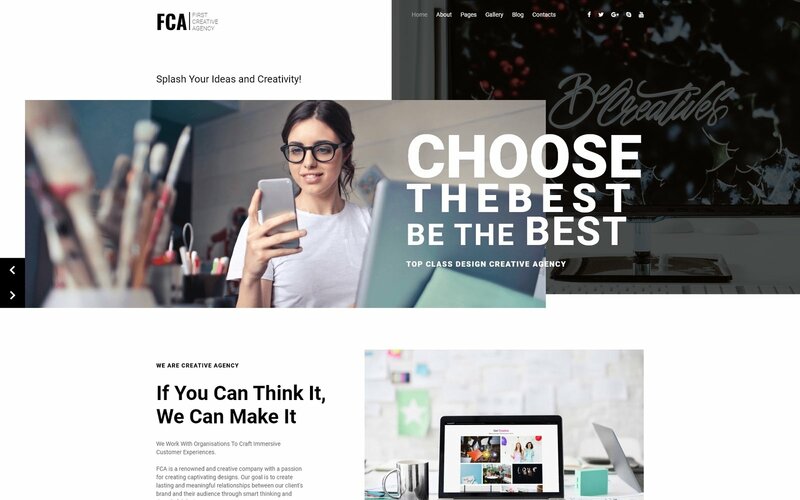 FCA-Creative Agency Joomla Template will build your marketing agency website and the customers will see your creativity from the first sight. Just look at the combination of slider, non-symmetrical background and big font at the top of the page! It looks like a glossy magazine centrefold. That brilliant first impression will make your company fantastically popular and profitable. All the tools included to the template will be useful for you. The header menu is not only sticky but also contains social media buttons, so the visitor will be able to follow your accounts any moment and from any part of the page. LT Office – Premium Private Joomla Company theme is a Responsive Joomla Company theme which is built perfectly for all companies to promote their business, spread company reputation, as well as raising membership among staffs. This theme comes with modern and professional design, which will be appropriate for building any company websites, especially for offices. Although LT Office has been developed with the latest website technologies, such as strong framework with Page Builder for layout, powerful shortcode to perform your site content easily, it is not difficult for you to customize the theme. 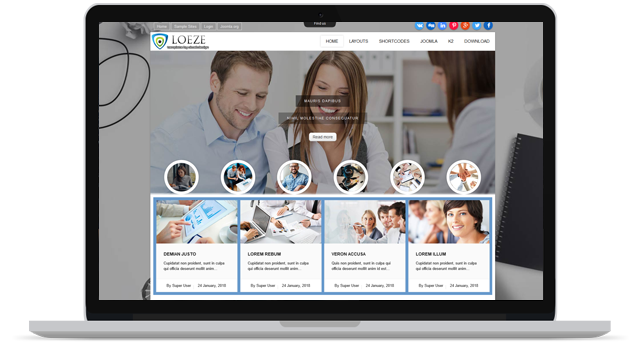 OL LOEZE – FREE BUSINESS JOOMLA TEMPLATE is a Responsive multipurpose free Business template based on Bootstrap framework. The Bootstrap Framework makes it fully responsive to all screen resolutions and aspect ratios. Moreover, thus it carries a lot of useful features, for instance additional HTML elements, set of CSS components, grid system and much more. Responsive Business Joomla template gives you the distinct look and feel while being very easy to adapt. Whether tablet, mobile or desktop, everyone can enjoy the complete site experience our template offer. ET CONFERENCE – BUSINESS JOOMLA TEMPLATE is Responsive Business Joomla template that targets for the conference website. This is the perfect choice for a busy designer! Flexible and easy to customize, Conference Website Template is simple to install. Since we live in a world of smartphones and tablets, all our layouts are responsive and supporting cross-browser compatibility, which allows users to access your site from any device they desire. Conference website builds with latest Bootstrap CSS Framework, Support Font Awesome and K2 extended style. JD LAWX – LAWYER JOOMLA TEMPLATE is a modern and responsive yet attractive lawyer Joomla Template for law or legal agencies, based on latest Bootstrap framework and powerful admin panel and built with Drag and drop page builder. This Joomla template comes with different header layouts. So you can switch from one layout to another to give a fresh look. Lawyer Joomla Template is a fully mobile friendly Joomla templates best for attorney or Lawyer website comes with unique features. JD LawX Joomla Template comes with page builder integration which makes it easy to edit and customize theme layouts. ET BICO – CRYPTOCURRENCY JOOMLA TEMPLATE is Responsive template that targets those who are interested in Bitcoin or Cryptocurrency. Cryptocurrency Website Template which created for you by top web development experts, is tailored to suit your individual needs and enables you to develop a website that is sure to impress and bring you the clients you desire. It builds with latest Bootstrap CSS Framework, Support Font Awesome and K2 extended style. Extra features such as cross-browser compatibility and parallax scrolling allow you to enhance your website further, making it truly unique to your business. ET TRANSPORT – FREE & PREMIUM JOOMLA TEMPLATE is Responsive Transportation Joomla template that targets for transportation company or trucking company website. Transport Website Template builds with latest Bootstrap CSS Framework, Support Font Awesome and K2 extended style. It’s 100% responsive, which means they are optimized for all screen resolutions and devices, whether mobile or desktop. Furthermore, it comes with 4 color schemes helping to create excellent websites with various layouts. The color schemes and the layout used in each one is designed to instantly give visitors a good idea of all your transportation services. SEOMentro – SEO Agency Joomla Template is a right choice for you. With our fully responsive SEO Agency Joomla Template you can greatly improve the image of your SEO business. The design is simple. But settings allow you to fully customize it to your taste. You can change the color gamma, upload your logo, change the title of the main page. Text materials are displayed using good typography. Use this fast and reliable template to create your own website for your SEO company and customize it as much as you want to make it really stand out. 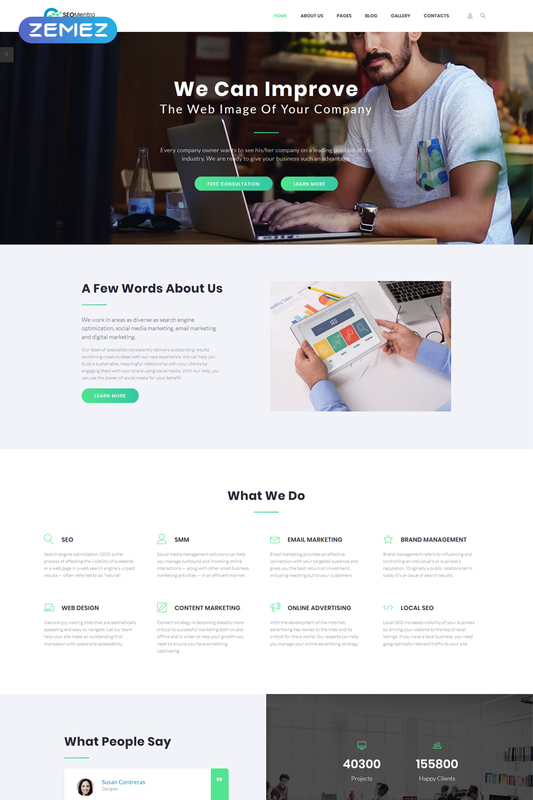 TD BUSINESS – FREE BUSINESS JOOMLA TEMPLATE is a Multipurpose free Business Joomla template based on Bootstrap framework, the Bootstrap Framework makes it fully responsive to all screen resolutions and aspect ratios. The template comes with fully collapsible 65 Module positions, 6 predefined color styles red, blue, green, yellow, brown and purple, background color and pattern change from template parameters page. 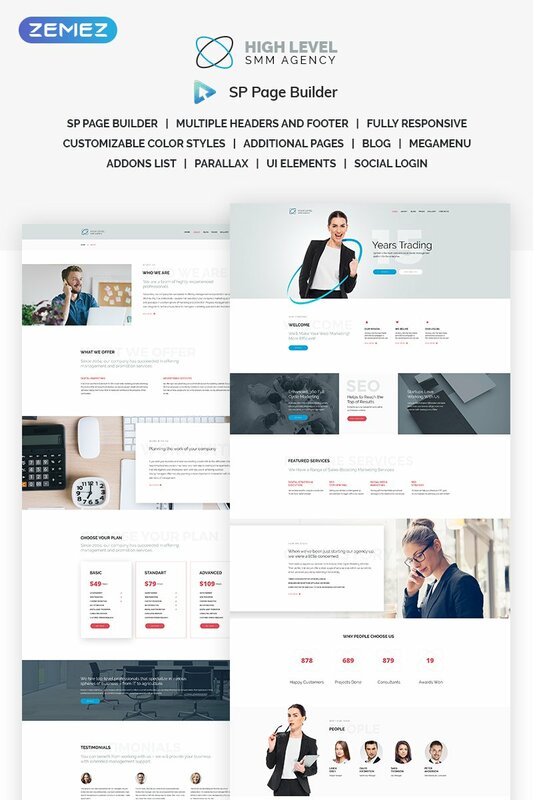 TC THEME34 – FREE BUSINESS JOOMLA TEMPLATE is a Responsive multipurpose free business joomla template based on Bootstrap framework. The Bootstrap Framework makes it fully responsive to all screen resolutions and aspect ratios. Moreover, thus it carries a lot of useful features, for instance additional HTML elements, set of CSS components, grid system and much more. High Level – SMM Agency Joomla Template meets all modern requirements for high-quality web development. Thanks to the presence of a visual layout designer, you can manage to develop any site in any style that is right for you. Customizable site headers, multilingual support, world currency support, AJAX support, SEO optimization, clean layout, and a lot more is hidden in the powerful functionality of this template. This is a wonderful template. ET ADS – CLASSIFIED ADS JOOMLA TEMPLATE is Responsive Joomla! template that targets for classified ads websites. Classified Ads website template builds with latest Bootstrap CSS Framework, Support Font Awesome and K2 extended style. It is now even much better by Compress files, 4 color schemes and more. Classified Ads website template is responsive and supports advanced features that make these templates look dynamic and modern. All these will impress viewers and convince them that your advertising agency is right for their project. ET HOSTO – HOSTING JOOMLA TEMPLATE is Responsive Hosting Services Joomla! template that targets Hosting websites. This template will help to create clean and stylish hosting website that demonstrates reliability and safety of your service. Hosting business requires neatly-arranged and visually efficient designs to better present different service plans and provide successful customer’s experience. The primary goal of this business is to get more hosting subscribers, so it’s quite important to help visitors choose the appropriate hosting plan quickly and effortlessly. Hosting Joomla! template provides endless possibilities to promote your company. ET INDUSTRIAL – INDUSTRIAL JOOMLA TEMPLATE is Responsive Joomla! template that targets for industrial companies. Industrial Joomla! template builds with latest Bootstrap CSS Framework, Support Font Awesome and K2 extended style. Each industry website template is fully responsive and allows cross-browser compatibility so users can access your page from various browsers and devices. It comes with flexible homepage which drag-drop layout and full-width layout, strong shortcodes, unlimited module position, and has drag-drop tools and color settings helping to create unique websites with various layouts. LevelUp – Landing Page Joomla Template is an impressive solution for those who wish to set up a startup company landing page. It’s fully responsive (meaning it works equally fast and stable on any type of devices). This template will make your company landing website really stand out among many other similar resources. With this template, you’ll get great response rate, intuitive interface, stunning artwork and fully adjustable looks. LT Curico – Premium Private Cryptocurrency Joomla Template is Free Responsive J2Store template which is specifically designed for Cryptocurrency Website or Bitcoin Website Template. However, consulting agencies, marketing firms, and other similar businesses can use these themes to create an authoritative corporate image that exudes confidence and trust. The Cryptocurrency Website Template has a significant feature from J2Store, which helps to make payment more convenient. Besides, 4 customizable colors schemes, with drag and drop tools and color settings are available too, to help you modify the site without any difficulty. ET INVEST – FINANCIAL JOOMLA TEMPLATE is a responsive Financial and Investment Joomla Template which is right matched to investment company websites. As an investment company, you have to get online and put your business on the map if you want more people to know about it. Our Investment Joomla Template is the perfect solution to create a fantastic site in a short time with a minimal investment. ET Invest promotes a professional and clean aspect using high-quality stock images and basic colors. The main slider uses smooth animation effects and helps in promoting important products/ services/ information.